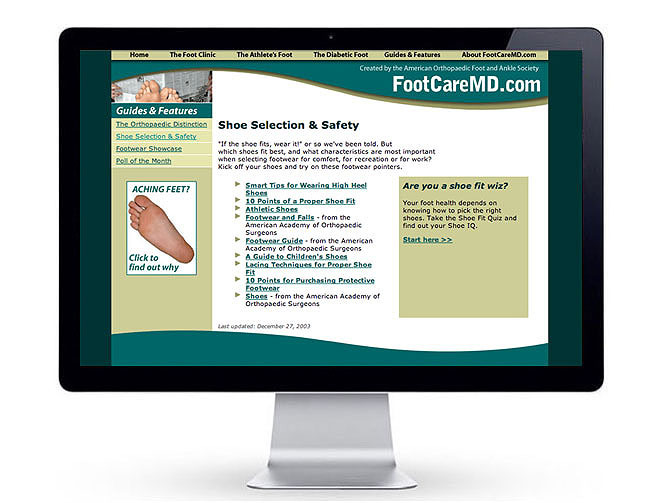 Mission: Create New Identity, Content Strategy, Web Site, and Community Relations for the American Academy of Orthopaedic Surgeons (AOFAS). 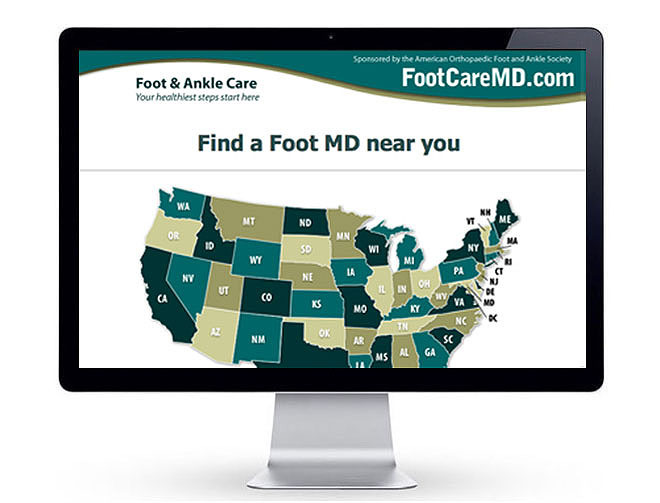 Key Insight: America's Foot & Ankle Surgeons are Medical Doctors (M.D.'s). 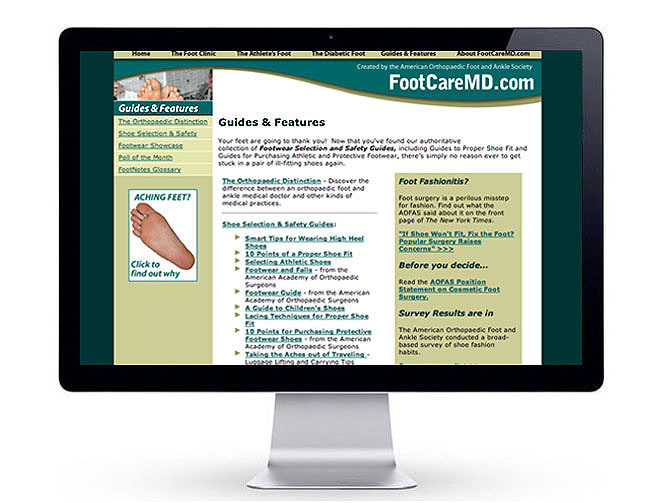 Podiatrists are not. Yet, few people understand the difference, or the difference it makes! 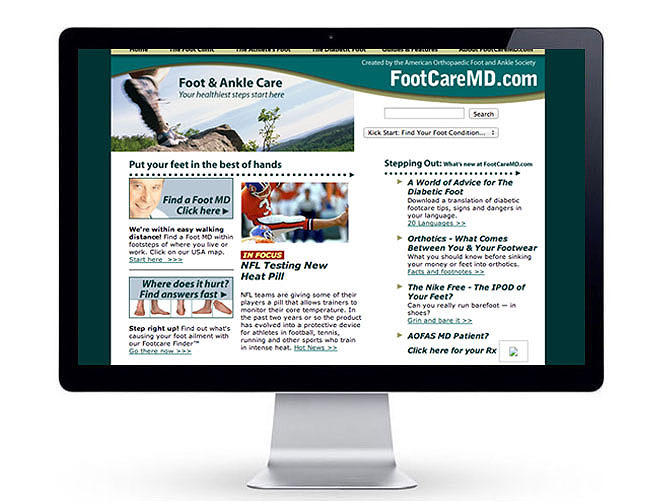 By rebranding AOFAS from an unrecognizable acronym to FootcareMD.com, a vibrant, branded online presence, the association achieved a new dimension of recognition and popularity.